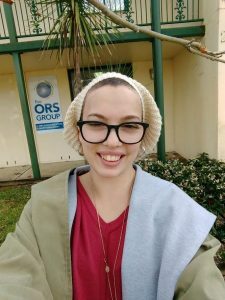 Wigs can make an enormous difference in the lives of people living with Alopecia Areata – inspiring confidence and helping to feel great about yourself. Thanks to a generous donation from our friends at R&Z Glam Wigs, we had the chance to offer a beautiful, virgin human hair wig valued at over $2200! This competition was open to anyone who is currently studying at university or other tertiary education and closed on the 29th of June. We’d like to offer our sincere congratulations to Pamela, our lucky winner! 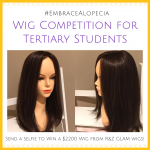 We hope this wig helps to bring you confidence and aids you on your journey to #EmbraceAlopecia! The biggest of thank yous go out to all who participated in this competition and who shared their stories with us. Thanks also to R&Z Glam Wigs for their ongoing support of our community.